Built in the 2014 this beautiful 164m2 home (1,765 square feet) is nearly new and sits on 300m2 of land (3,229 square feet). This great value price includes practically everything you will need, just bring your clothes, toothbrush and toothpaste and you will be comfortable. 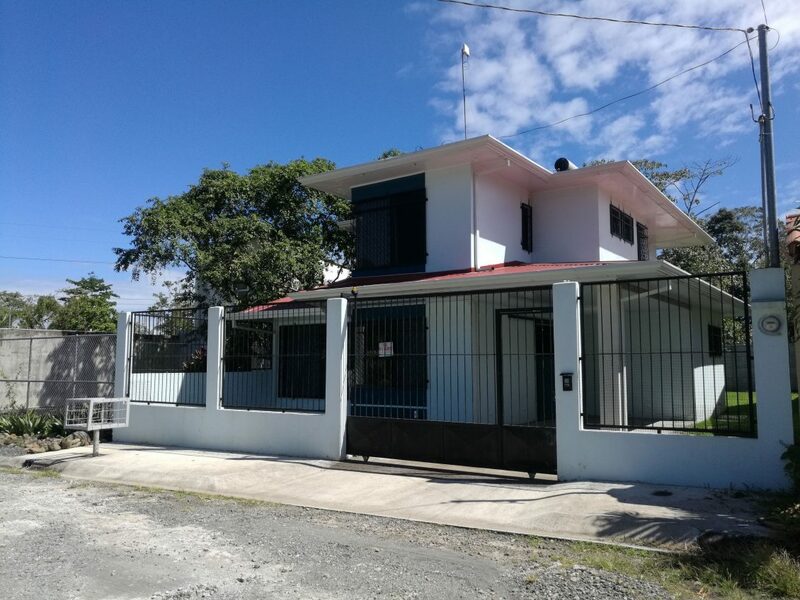 The home is located in a secure area and has all the basic services of electricity, potable water, telephone, Internet, street lighting, trash collection, asphalted streets, storm drainage and public transport is close by. A large Master Bedroom with its own private bathroom. Spacious guest room with its own private bathroom. Water tank with solar heater on the roof. Security Alarm Systems for the whole house. One bedroom that at the moment is being used as an office. A light filled living room and dining room with a central skylight. Kitchen with island with good quality ceramic counters. Built-in gas stove and a conventional built-in oven. Terrace with roof and bars. Small storage room at the back of the patio. Special storage area for storing the propane gas tank outside. Covered garage for a vehicle. Green areas around the house. charged by brokers and call the owner direct! This house was built with all the comforts and security measures, designed and intended for people who work from home. With large glass doors and windows bronze colored with aluminum frames. The property is completely safe with lateral and back wall of prefabricated concrete and a concrete front wall with bars and metal gate with electric motor. Urbanization Montelimar is a secure but friendly and well organized community. With access to infrastructures, public and communal services, near the center of Guapiles less than 4km you will find shops, pharmacies, supermarkets, banks, hospitals, clinics, public and private schools, universities, public and private transport. We would always recommend that you have your own attorney confirm that all is in order before you make a final offer for any land or home. Call now! Please remember that at this price, this home will not remain on the market for long. i am Mohammed salihadju from North Cyprus . i went through your ad and i was convinced of the good nature of the house which is placed for sale. i’m interested in the property, i don’t know if the property is still available. if yes, please do let me know.